Super Easy. Nothing to learn. Just pick a soundtrack and start shooting your lip-sync performance or action. Pause, change scene and continue shooting at any time. No matter how many scenes you shoot, music stays in perfect sync with your action. Live Effects. 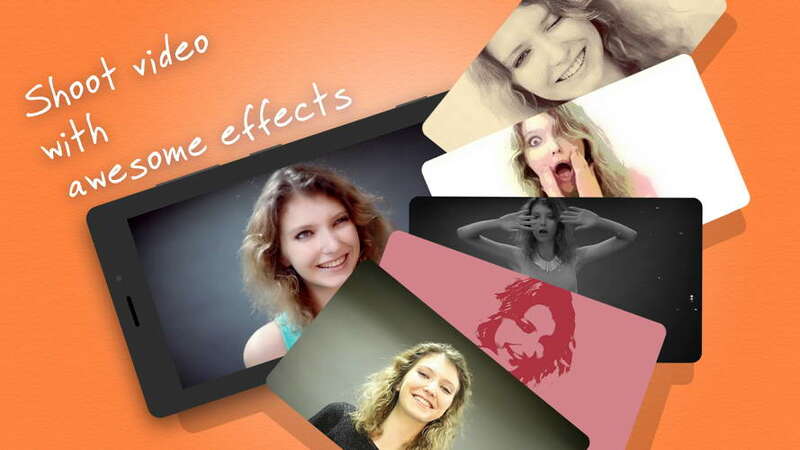 Express yourself with over 50 video effects and filters such as Film, Ghost, Twins, Thermal Flow and many other – half of them for free! You can even switch them live while shooting! Amp it up. 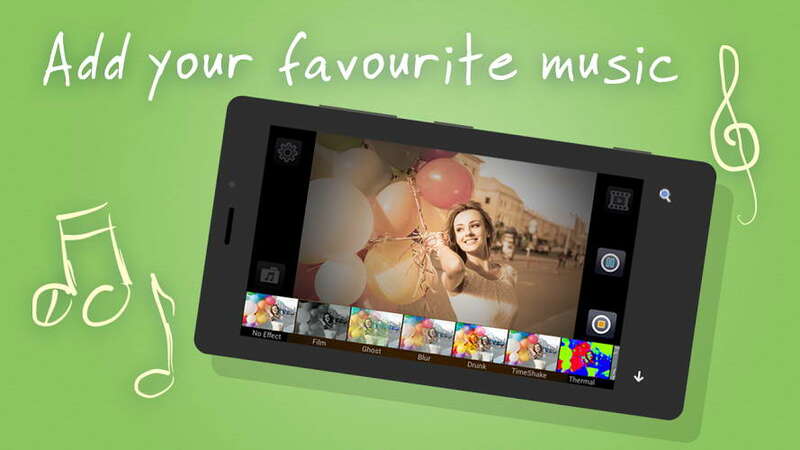 Choose a soundtrack from your own music collection (supported formats: mp3, m4a, wav, ogg) or use microphone to shoot videos with live audio. Instant Preview. Preview your footage/edits at any point and discard/re-shoot last scene if necessary. Start many projects and switch between them anytime. Timers. Start Timer lets you set a record start delay to get prepared for a take. Auto Pause Timer lets you set a time position in your soundtrack at which to pause recording (to change scene etc). Stop Motion. Create animated or time-lapse music videos or individual scenes with our Stop Motion feature (available as an in-app purchase). You may need a tripod to get the best result. Fast Motion. Adjust video recording speed of music scenes from 1x up to 2x without distorting audio to achieve desired fast-motion effect. Share & Export. Share your videos via YouTube, Instagram, Facebook and other social and media services, or Export them to your Camera Roll in mp4 format. Your admiring audience awaits! Create your masterpiece and become a video star ! Want to send us a feedback, share ideas or report an issue? Please leave us a message below, we would love to hear from you!